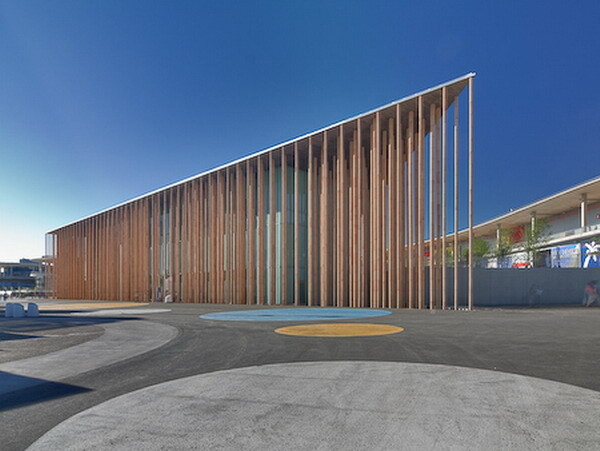 We did not hear too much about Expo 2008 last year in the northern Spainish city of Zaragoza, partly because it was overshadowed by the Olympics in Beijing and also probably because Australia did not participate. The theme chosen for last year was “Water and sustainable development”. The issue of sustainable water supply is directly related to our survival on this driest continent on earth. It was quite curious that Australia decided not to take part in it. 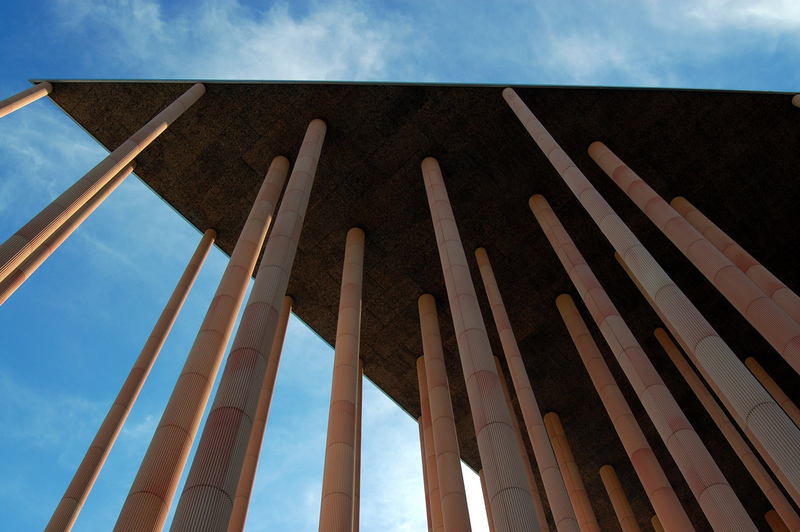 Designed by Francisco Mangado, the pavillion was one of the main focus of the expo. The 750 classical columns made from terracotta were placed around a glass-walled hall. 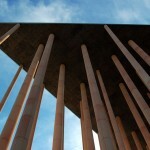 The columns supports a thin roof which acts as solar and water collector. The columns were intended to draw water up with a osmosis process through the clay and the evapouration of this water would cool down the building. 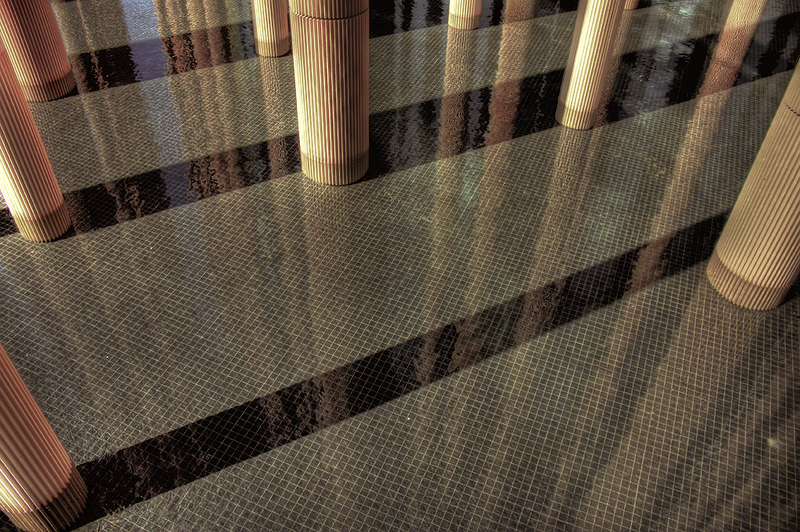 The columns were arranged in a pattern resembling a bamboo forest. The strong Spanish sun cast long and dense shadow to control the heat load. 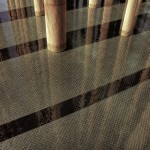 The reflection of the shallow pool gave a sublime sense with the use of water, the theme of the expo. The use of fluted columns signified the continuity of western architectural traditions into the era of conservations. The tranditional form was transformed into an energy-conserving device. I wonder if the columns had a symbolic meaning that we should look into tranditional ways of living when we fight for the sustainability of life on our planet.